One technique that I have found to be very helpful is that of ‘Frontloading’. Essentially, it involves preparing an A3 sheet with a variety of boxes, titles, questions and glossary terms which students investigate and complete using resources we have directed them to AHEAD of the time we will study the material in class. So, in short, I am getting them to prepare for lessons. 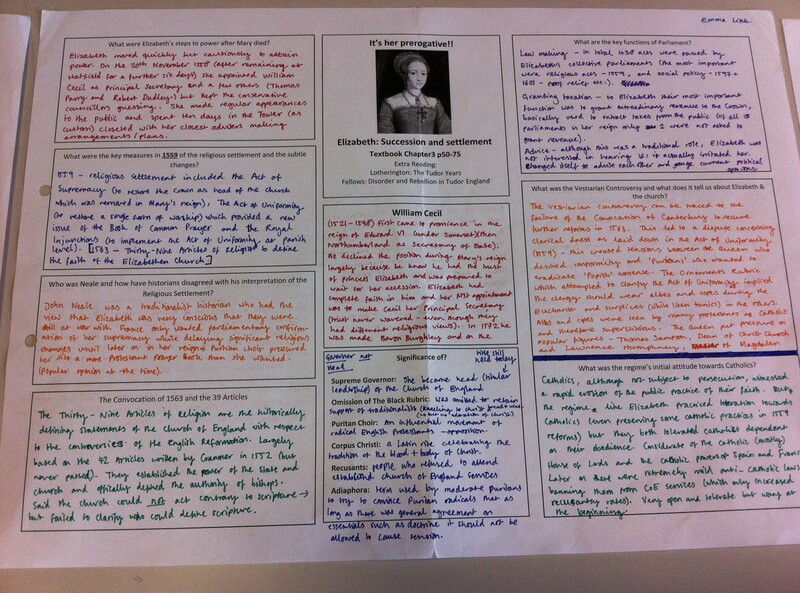 The value of the format is that they are very easy to check ‘at a glance’ in class – I tick them off in my mark book. 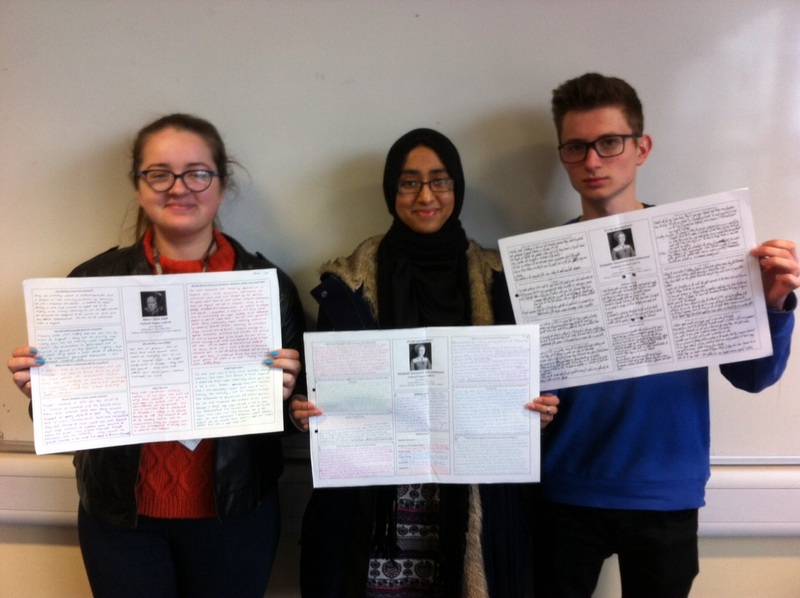 The sheets are also excellent for revision and the Student Voice responses have indicated they are one of the most appreciated activities in History. They benefit all abilities equally and can cut down on the time needed in lessons to go over difficult material, since students already have a level of familiarity. Front loader sheets are easy to construct and can be adapted for most subjects. ← Can our students think?